The Newspaperman. 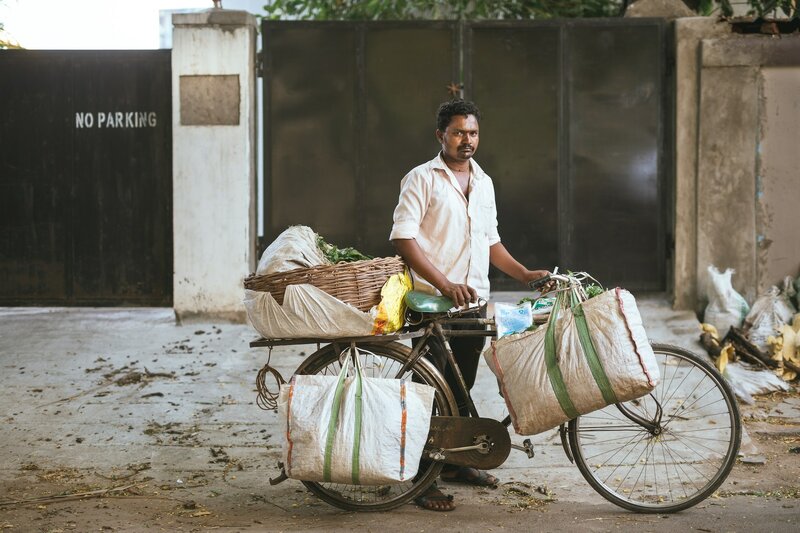 Krishna Yadav distributes newspapers to 300 houses every day, from 4am to 9 am and then goes to his day job. The Knife Sharpener. 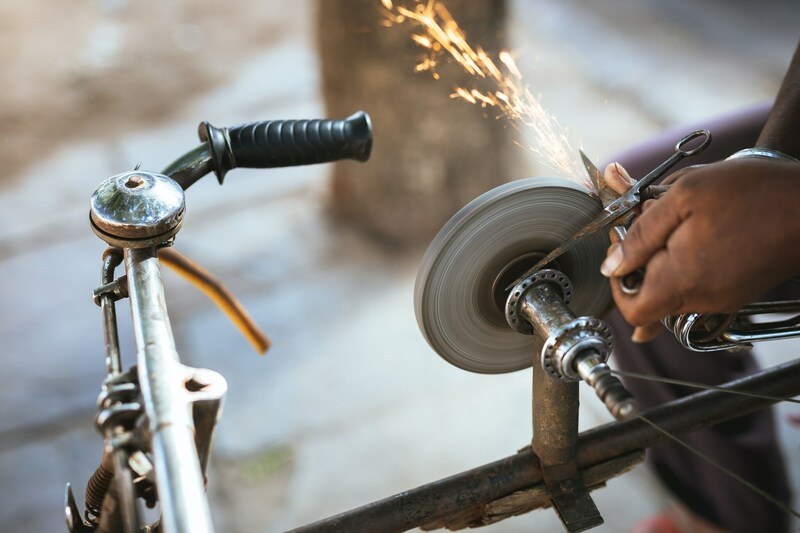 Dharma is able to sharpen 300-400 knives daily on his bicycle and relies largely on restaurants for his trade. The Scrap Collector. 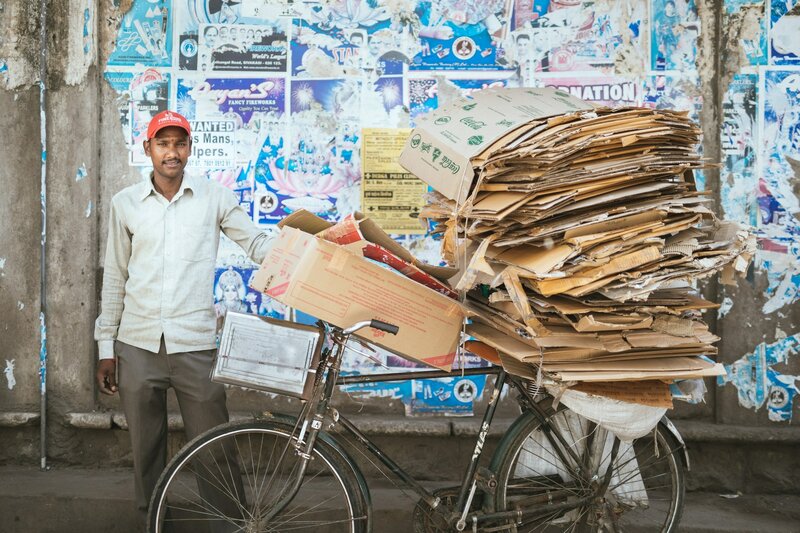 Ramesh has been collecting and selling paper boxes since he was 12 and currently provides for his family of five. The Vegetable Seller. 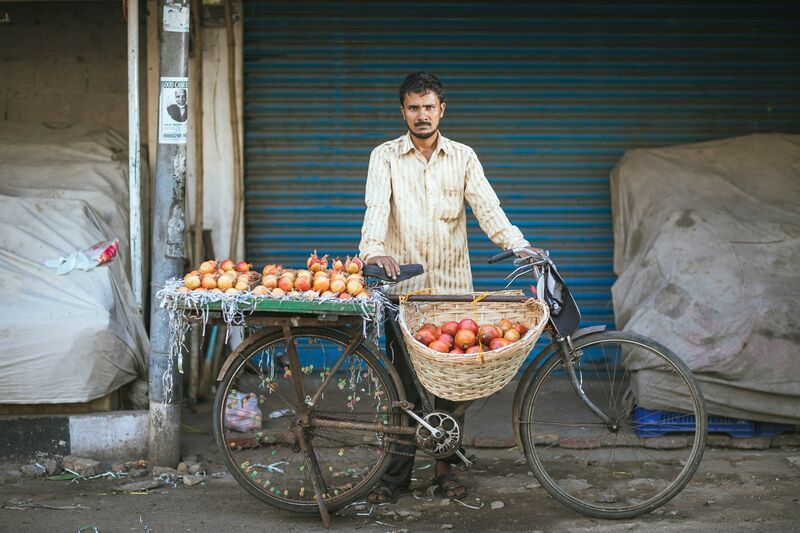 Ramu has been selling green leafy vegetables in the same spot for 12 years and has sales of up to Rs 1,000 a day. The Milkman. 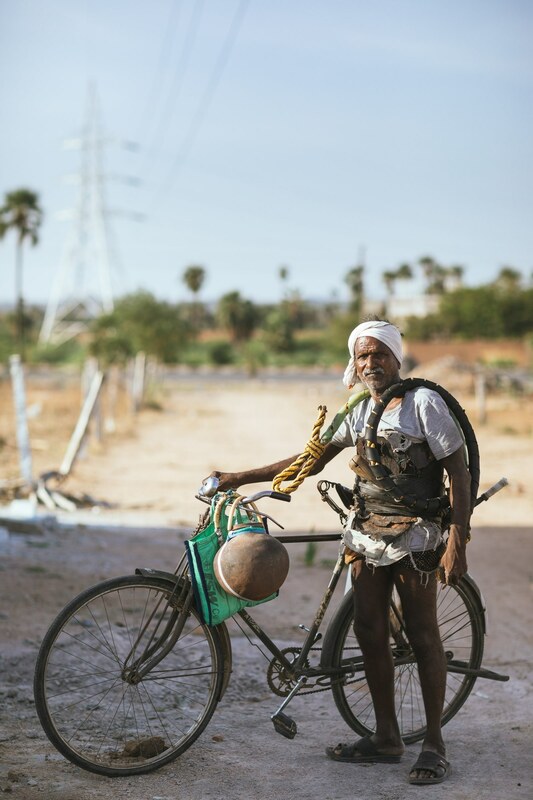 Basvaraj travels 30 km from his village to the city via bus every day and then uses the cycle to distribute milk across the city. - The Fruit Seller. Ghouse sells up to 70-100 pieces of seasonal fruit every day between 6 am and 9 pm. The Toddy Tapper. 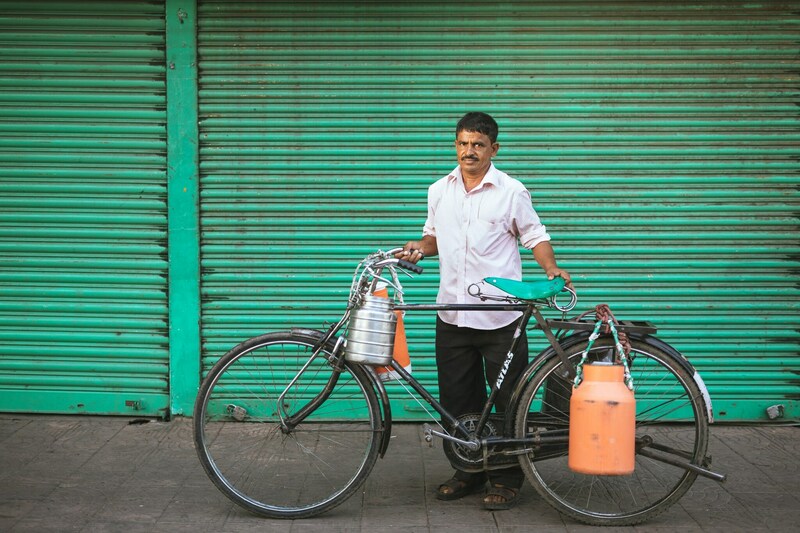 Krishna Goud does two rounds of tapping every day and sells a litre for Rs. 20. 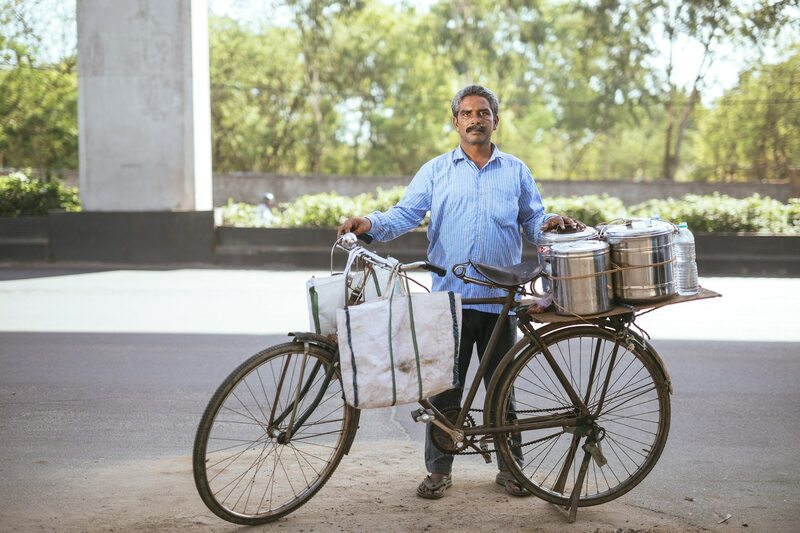 The Idli and Dosa Vendor. 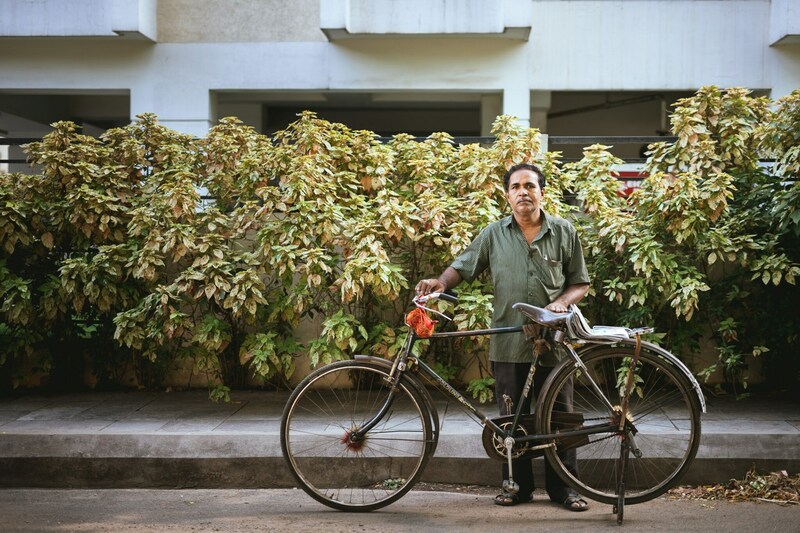 Sathyanarayana sells 600-800 pieces of idli and dosa every day for breakfast beginning 6 am.